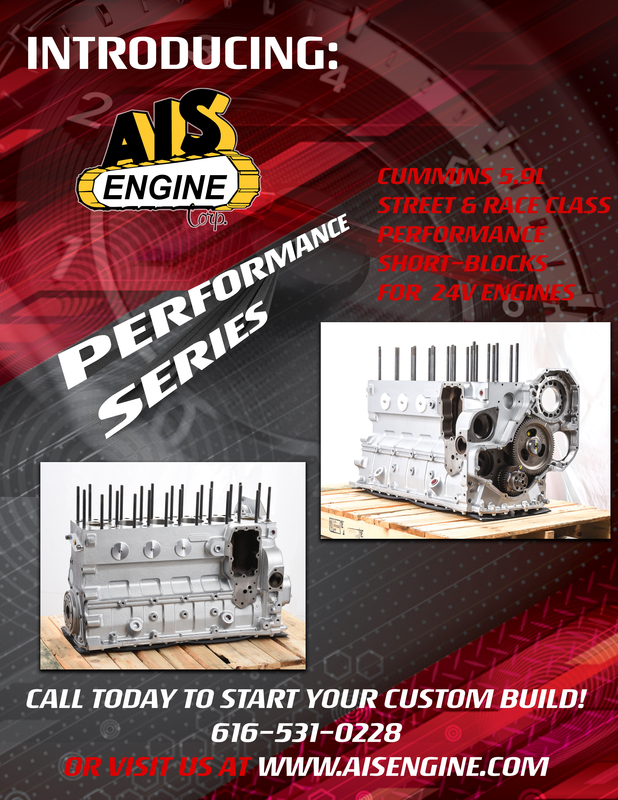 We at AIS Engine are proud to announce our new performance series short block engines! AIS now offers both street and race class short block engines for Cummins 5.9L 24 valve applications. These will fit both P-Pump and VP-44 injection systems. All AIS performance short blocks are machined and hand assembled using high precision equipment in order to meet and/or exceed OEM specifications. Performance short blocks can also be built to order! AIS Engine will put together a custom package for you based on your high performance preferences. So whether you're building your truck to rule the streets, or be king of the drag strip, AIS Engine has the performance solution for you! Call today to talk to an AIS representative about starting your custom build!